From a young age, there have been very few days Danny has not had a camera in his hands. He films absolutely everything he can. Nothing is too mundane that it can't be lit cinematically and ultimately pique the interest of his audience. That mantra is what opened the door for Danny to travel the world. Shooting documentaries across Europe, Asia, and Central America. As well as working with brands like Intel, Corvette-Racing, Dodge-Chrysler, and Humana. In 2014 Danny was accepted into a private institute where he studied under the tutelage of the greats. 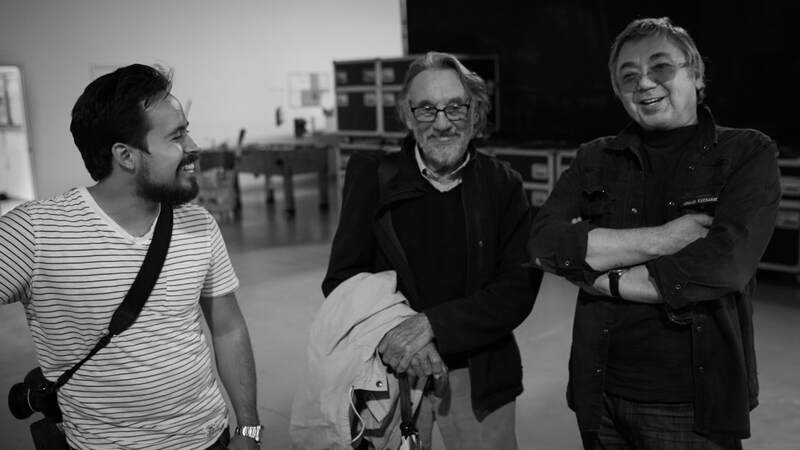 The institute was founded by Yuri Neyman, ASC, and the late Oscar-Winner, Vilmos Zsigmond, ASC, HSC and gave him the rare opportunity to learn from cinematographers of such movies as Apocalypse Now, Arrival, and Star Wars: The Force Awakens. Throughout his career, Danny continues to rely on experimentation. He pushes the boundaries of traditional cinematography by adapting to new technology and new forms of content. Danny's passion for storytelling and creativity is unparalleled. Rivaled only by his love for coffee (and his family). DANNY SALAZAR | REVEAL MOTION PICTURES © COPYRIGHT 2019 ALL RIGHTS RESERVED.